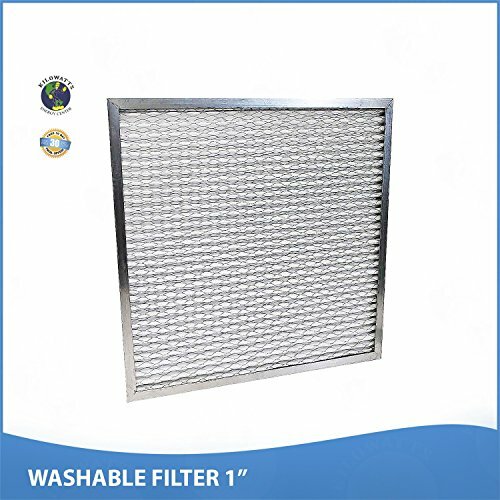 Replaces 10x10x1 sized disposable filters. The actual size of this filter is 9-3/4 x 9-3/4 x 7/8. Just hose off and water, allow to dry for 15 minutes and reinstall. These quality filters are built to last a lifetime. They are interchangeable with 1" disposable filters and can be used again and again.